Three beef products, Highland Beef Ribeye Steak, Minced Beef Steak & Highland Diced Beef produced by Perth-based Highland Drovers will be proudly displaying a coveted Great Taste logo after being judged by a panel of 350 of the nation’s most discerning food experts over 45 days. Highland Drovers supplies quality 21 day matured beef produced by Scotland’s sturdy Highland cattle. 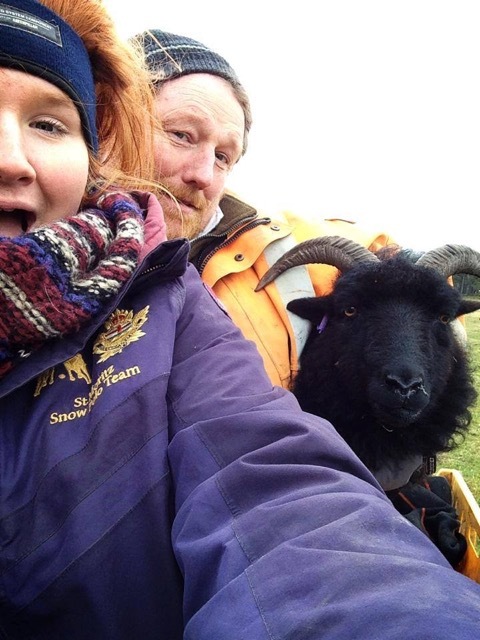 They are a small business started up by a small group of like minded farmers in the late 90’s aiming to get more people to eat Highland beef as well as develop a recognisable brand for Highland beef. To achieve Gold in Great Taste is a significant achievement for any food or drink producer and results are eagerly awaited. The scheme, run by the Guild of Fine Food, has been described as the epicurean equivalent of the Booker Prize and in 2012 a total of 8,807 different food and drink products were entered. Judges this year included Masterchef winner and restaurateur Mat Follas, restaurant critic and Masterchef judge Charles Campion, food writers Lucas Hollweg and Xanthe Clay and over 300 food buyers from leading food halls, delicatessens and farm shops, including Harrods, Selfridges and Fortnum & Mason. Beep! Beep! The alarm clock sounds and my hand shoots out to give it a smack, but I can’t find it. I stir and notice that it is plugged into a socket on the other side of the room; this is a technique I use to make sure I actually get up rather than hitting the snooze button. I try to ignore it but very soon an elbow comes out of the grey darkness and digs in my side followed by a mumbled request for a cup of tea from Mrs H. Why am I getting up at a time that is so early it is nearly yesterday; well today is the first show of the season! Judging starts at 9am so I better get a move on. First of all I scoot round to check the last 2 cows still to calf are ok, feed the bulls and ponies. While driving round I see some red deer in one of the silage fields. They started coming in when the first shoots of new spring grass started appearing. Originally, there were around 40 of them. To discourage them I sourced some bangers on a timed fuse. These had a great effect and they stopped coming in. I stopped using the bangers when I thought there would be enough grazing on the hill for them. However, I noticed that about a dozen soon re-appeared. That’s ok I can live with that. However this morning I was amazed by the site I came across; there was more than 100 of them grazing and resting in the same field. Now this is just unacceptable. So I thought I would nip over and encourage them to head back up the hill with the dogs and quad bike. They at first seemed interested in me approaching and I really should have stopped and taken a picture but still being sleepy I didn’t think about it. They started heading up towards the hill and as I turned the bike round it spluttered and stopped; lack of fuel and how very irritated I was to find that it had been left on reserve. I had to abandon it and walk the mile or so back to the steading to halter, load the animals and the associated paraphernalia for the show. Still in plenty of time to make the show; so no panic. An hour or so later I arrived at the show ground at half 7 to find I am the last Highland cattle exhibitor to arrive, everyone else has their gazebos up, their cattle brushed and show ready, I think to myself, Really!!! what time did they get up! I am sure many of you are aware that showing involves periods of frantic activity and hours of hanging around, so after arriving a period of hectic activity takes place; Get the pen ready for the cattle, clean them up, brush every hair into correct position, oil their horns and feet, then finally apply show shine. I change my jacket for a white show coat and giving my own hair a good comb with the cattle comb and we are good to go with 10 minutes spare, so far so good. The Highland cattle judging was delayed while we waited for the Charolais judging to take place so a period of a couple of hours of hanging around starts, the time was used to catch-up with some folk I had not seen for a while. All in all I would say the day went fairly well for the farm. We were in the first class and came 1st with our stock bull Silas. A couple of classes later I was back in the ring with our 2 year old heifer Mhari and again was fortunate to be placed 1st. At the end of the day Mhari was placed as breed Champion and Silas was awarded best male animal. Both of them were awarded a nice trophy each. My daughter didn’t do so well this time out on her Highland Pony Seamus, she was placed 3rd and 4th in the 2 classes she entered. It seems the pony was crabbit and didn’t perform to the best of his ability; perhaps he got up too early!